It goes without saying that laughter is one of the most fundamental aspects of being human, and the experience is something we all will and have shared at one point or another. But what happens when we start to take a look at the physiological effects on laughing for our bodies and overall health? Even sites like WebMD acknowledge the effects that laughter have on our bodies and minds; we stretch muscles in our face and body, we gasp for breath and deliver oxygen throughout our body’s tissues, our pulse quickens and blood pressure elevates, all of these reactions outside the mental humor we find in what was said. The study of laughter is not a new concept, and was originated by Dr. William F. Fry, who in 1964 presented the first grant to allow for the observation and documentation of laughter as a science that could be suitable for public funding, as well as eventually coining the term “gelotology”, also known as the formalized study of laughter and its effect on our physical bodies. Unfortunately, the Vietnam War disrupted budgetary allocations in the field of the sciences and Dr. Fry’s foray into the field was never giving the financial backing it deserved and required, but in modern society, it is becoming more commonplace to acknowledge the physical and emotional benefits of laughter at a scientific level. So let’s start with the physical affects: Laughter relaxes your whole body, boosts your immune system, decreases pain, lowers stress hormones, and helps your heart too! 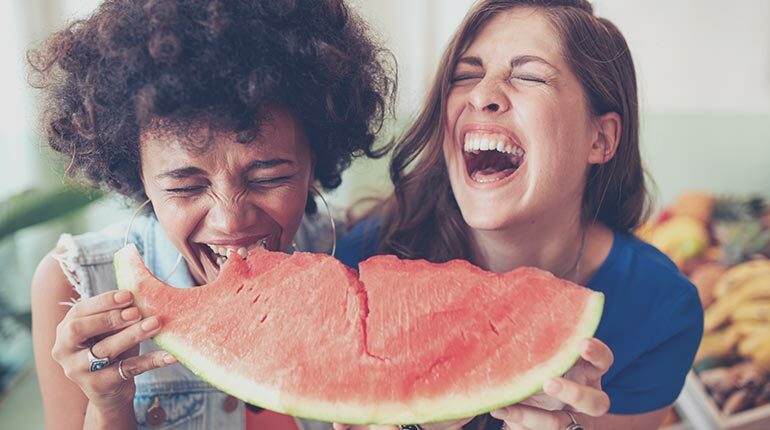 Researcher Maciej Buchowski, from the Vanderbilt University School of Medicine, did a minor study with the goal of measuring amount of calories spent on laughter, and concluded that 10-15 minutes of laughter burned roughly 50 calories. That’s not bad when you think about sitting around with your friends cackling like maniacs and simultaneously burning off that [enter favorite snack food here]. Additionally, there have been a few different studies done on the effects of laughter on blood, the literal life force of all living creatures. In 2005, researchers at the University of Maryland School of Medicine conducted a study on the effects of laughter on blood vessel constriction and overall cardiovascular health. Utilizing comic films, these scientists proved, for the first time in history, that laughter is linked to the healthy function of blood vessels. More specifically, they conducted a study on 20 non-smoking, healthy volunteers divided equally between men and women, then showed one group movie scenes meant to incite laughter (ex. Kingpin), and scenes known to cause emotional stress to the other (ex. Saving Private Ryan). They found that the groups exposed to the comedy had a notable expansion in the tissue that forms the inner lining of blood vessels, also known as the endothelium, in order to increase blood flow, where the other group experienced a dilation in that same tissue, restricting blood flow. These are just a few examples of the noted physical benefits of laughter, some additionally includes the release of endorphins in your brain, activating and stimulating organs like your heart and lungs, relieving stress through the lowering of blood pressure and heart rate, as well as stimulating muscular relaxation. At the end of the day, the physical benefits are great, but laughter is most commonly appreciated for its positive emotional affect on people, and even animals. Time Magazine did an entire article around the question, Does Laughing Have Real Health Benefits? and within they had a conversation with Dr. Lee Berk from Loma Linda University of California regarding the connection between laughter and the mind. Berk specifically focused on the complex relationship between your mind, hormonal systems, and immune system, pointing out that “Grief induces stress hormones, which suppress your immune function, which can lead to sickness,” and with stress being such common focus nowadays, the second part of the statement was pretty significant, “laughter appears to cause all the reciprocal, or opposite effects of stress,” Berk explains. Since laughter stifles the release of stress hormones like cortisol, as well as produces neurochemicals like dopamine, it can have almost the same, but opposite effect on your overall health and physical wellness. The mental health benefits of laughter include increased joy (and “zest for life”), less anxiety, less stress, elevated mood, and increased resilience. Socially, laughter connects us, attracts people to us, enhances teamwork and bonding, and helps diffuse conflict. Ready to Get Your Laugh On? …and here’s 42 Dog Vines Because They are the Only Thing That Can Give You Joy. Get out there and try to laugh at least 15x a day, which is the recommendation put forth by Dr. Brian Luke Seaward.